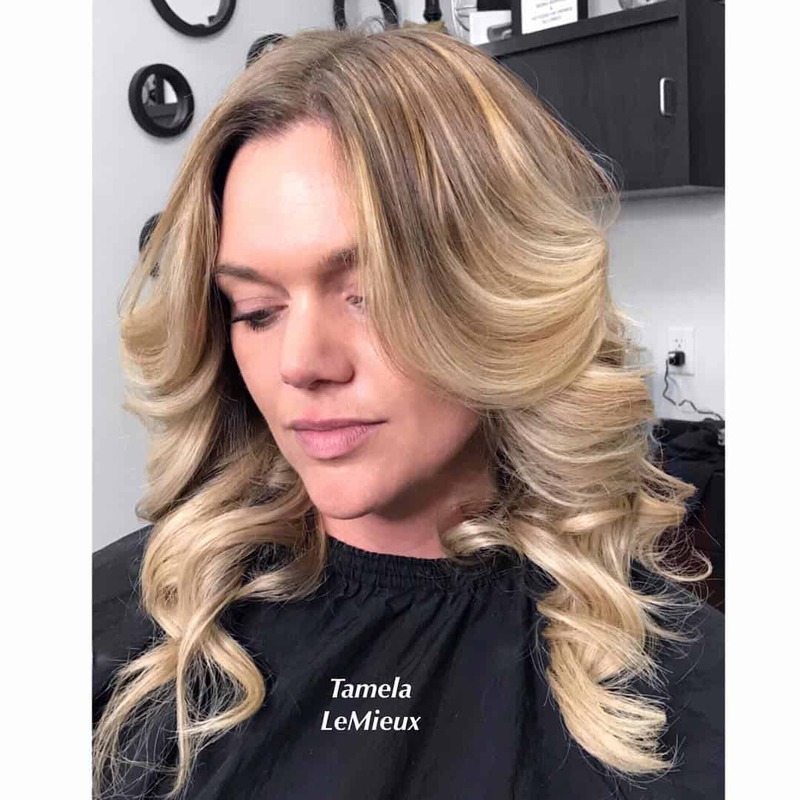 Many stylists believe that medium hair length is the ideal playground for all hairstyles that exist. 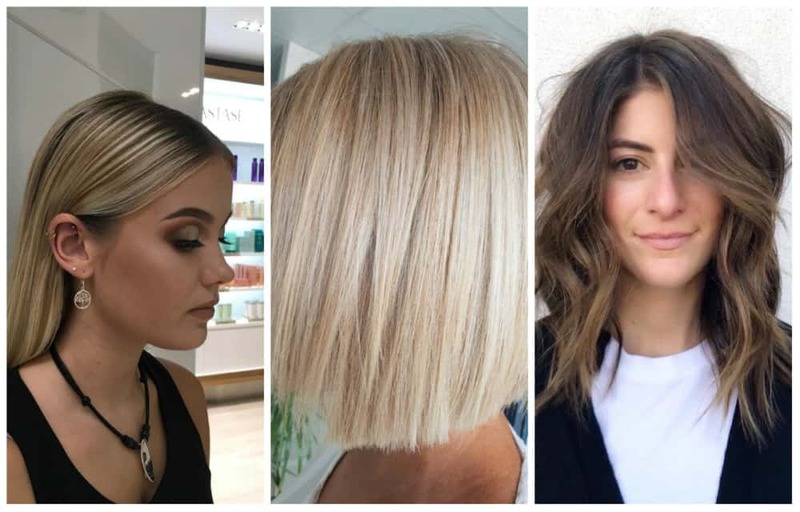 Medium length hairstyles 2019 are what is going to change you look entirely. 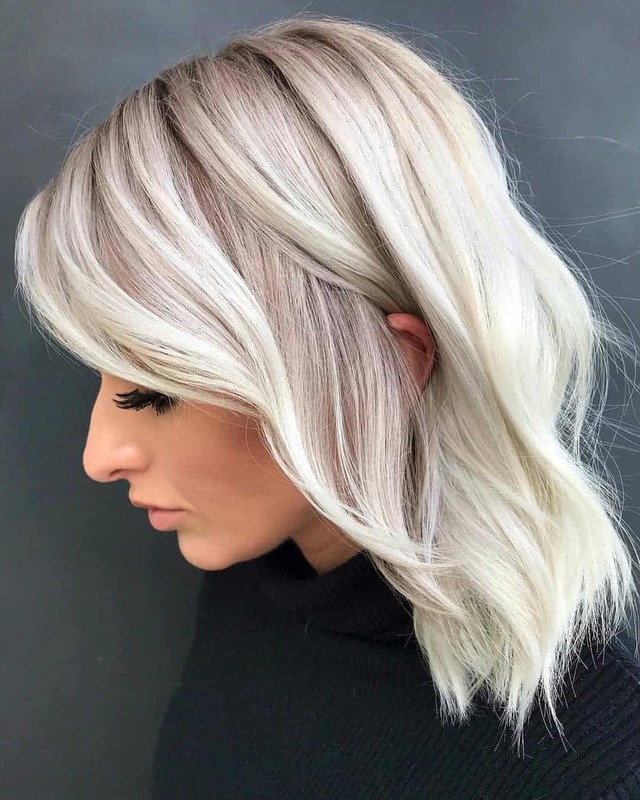 Trust us, if you take a closer look at what we have prepared for you, you will start loving every bid of medium length hair trends 2019. Please enjoy these medium hairstyles for 2019 fashion season. When you have curly hair, everyone seems to make sure to advise you to comb them. However, few people understand that the simple action of combing curly or wavy hair can and will create chaos on your head. Nonetheless, there is a way to use the comb in your advantage. In case you want to achieve that soft and fluffy hair volume, wrap your hair around Velcro rollers right after blow-drying the hair. Thirty minutes should be enough for average hair to get this gorgeous rich texture. Of course, you can add some hair products into the look to make it more red carpety. 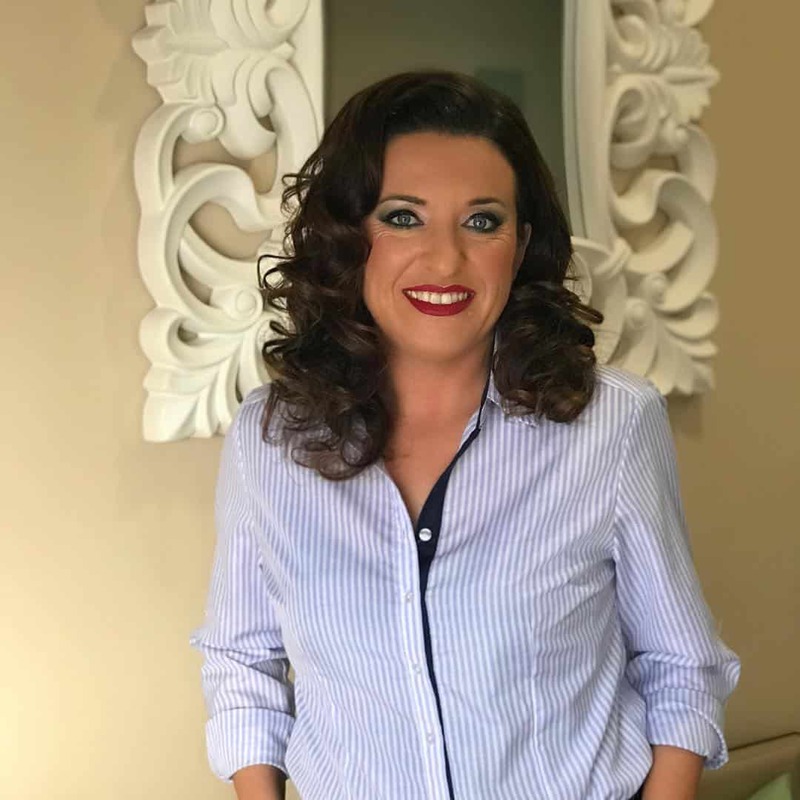 Among medium curly hairstyles 2019, this one is one of the most popular medium length hairstyles 2019. This look is great if you don’t want to spend much time on styling. Free curls will not let you down on a humid and rainy day. 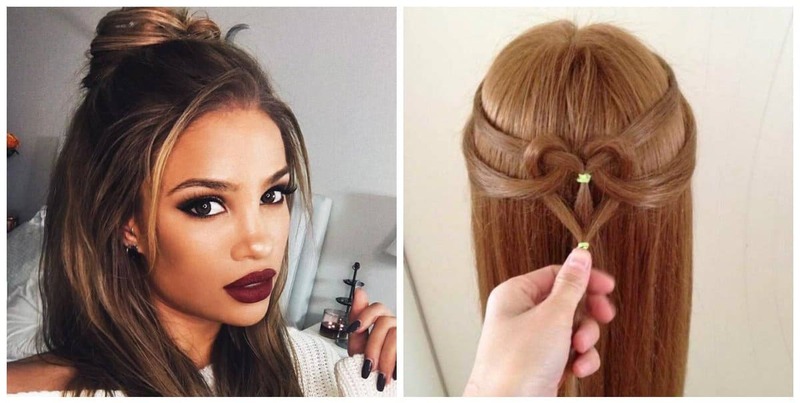 Blow-drying your hair after a shower is enough for this cute hairstyle. 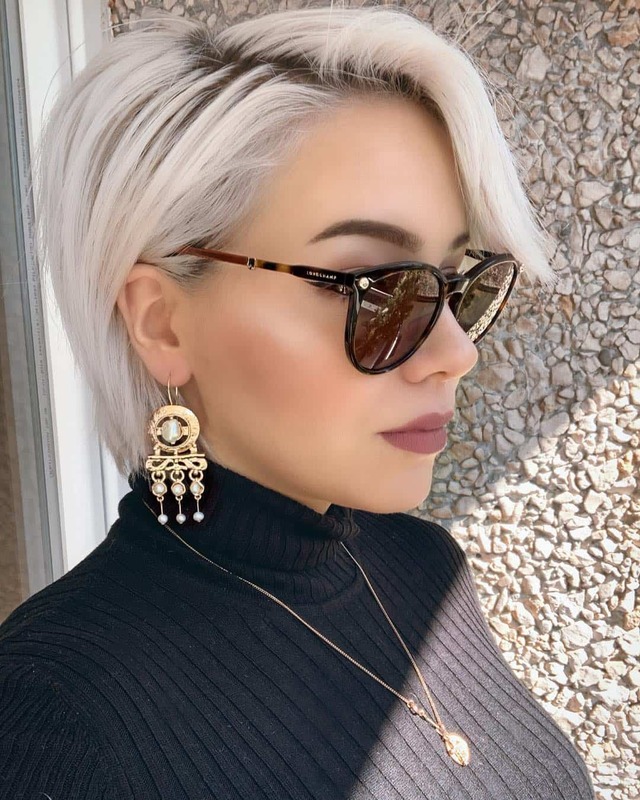 Medium hairstyles for 2019 with slicked back hair have many variations of execution. Stylists made sure that styling options are for any taste. 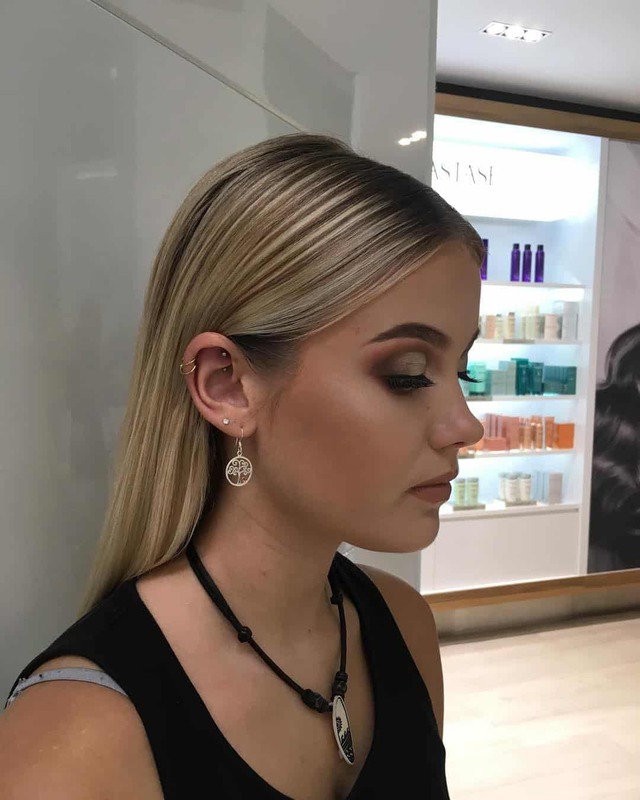 This kind of wet looking hairstyle gives a unique detail to the whole look. It feels almost careless, until you realize how much work was put into this specific look. Consider using pomade for all the styling options you desire to try out. Just a small amount of it will assist you to make sure all the hair is laid the way they are supposed to. 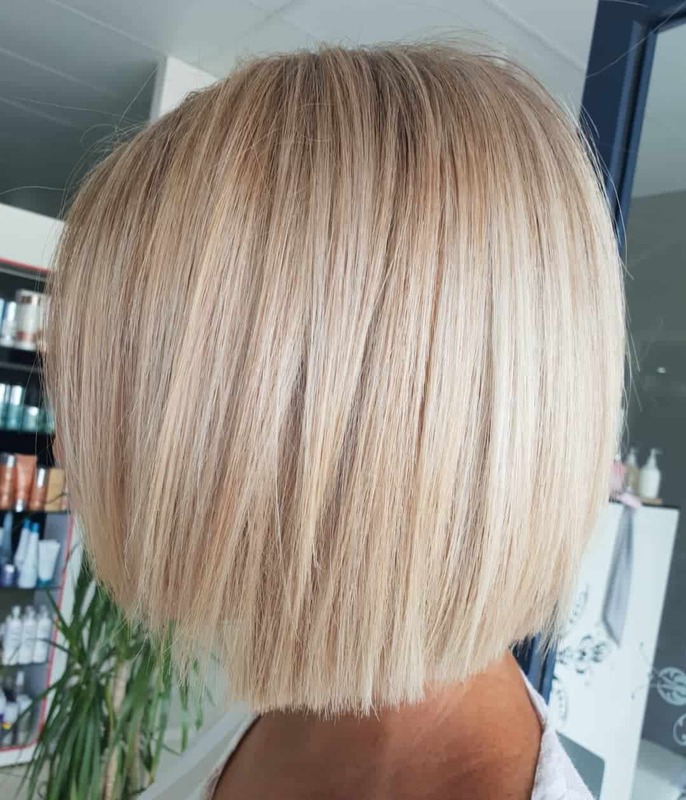 There are several tricks to these medium length hairstyles 2019. One of them is the way to achieve the waves in the first place. In case you think that just using a curling iron is enough, you are deeply mistaken. 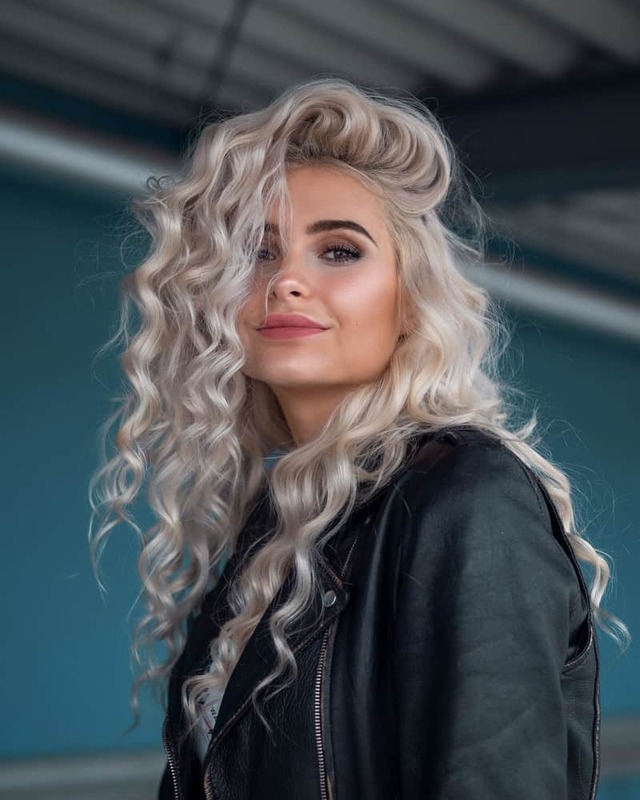 In order for these voluminous waves to fall on your shoulders in such a careless manner, you should curl the hair strands in smaller sections. Keep in mind the fact that you have to pin them to the head, while waiting for them to cool off. The final touch should be adding some fixation spray to make sure this gorgeous updo stays on for a long time. Ombre is one of those simple and easy tricks that turn the most basic haircut into a stylish trendy updo. Many people believe that ombre looks the best on longer hair and you have a larger playground on longer hair. However, they are only partially correct. 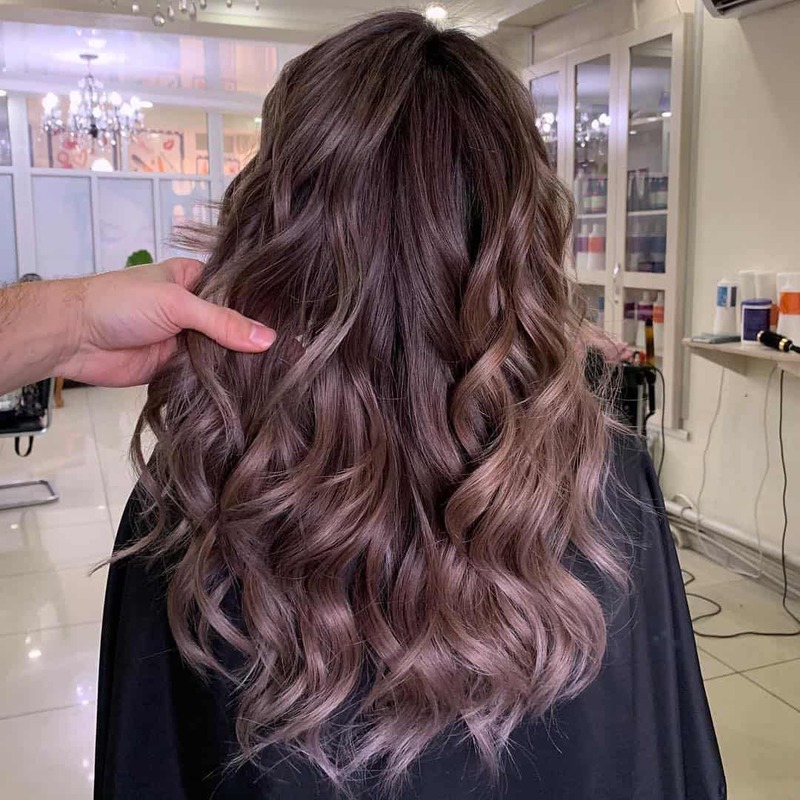 Despite the fact that medium haircuts 2019 are not the largest playgrounds for hair dyeing, ombre still looks gorgeous on medium length hair. 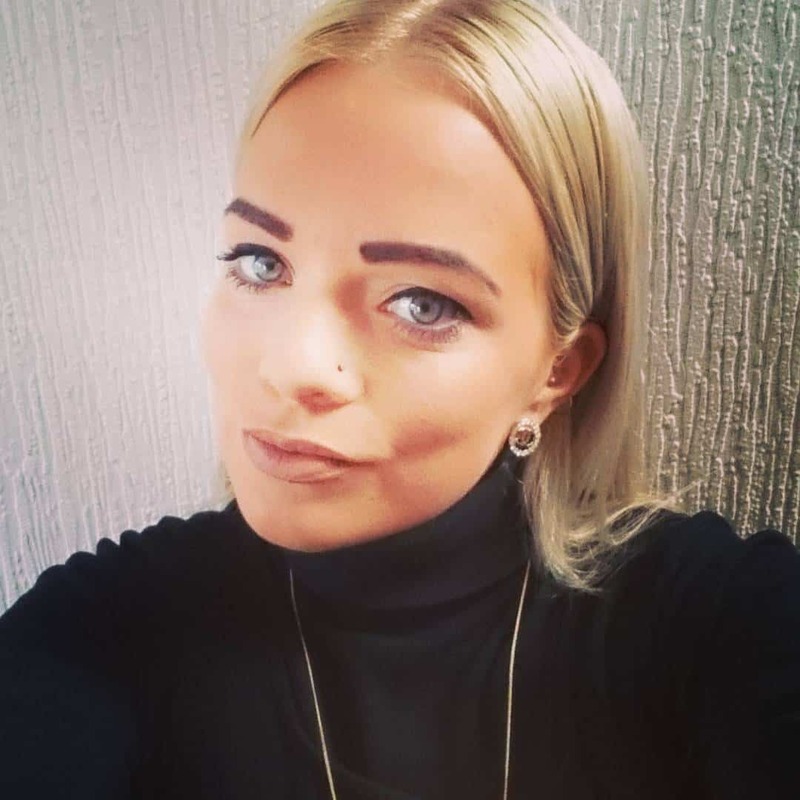 It’s a technique that you wouldn’t expect to see on medium and shorter hair. 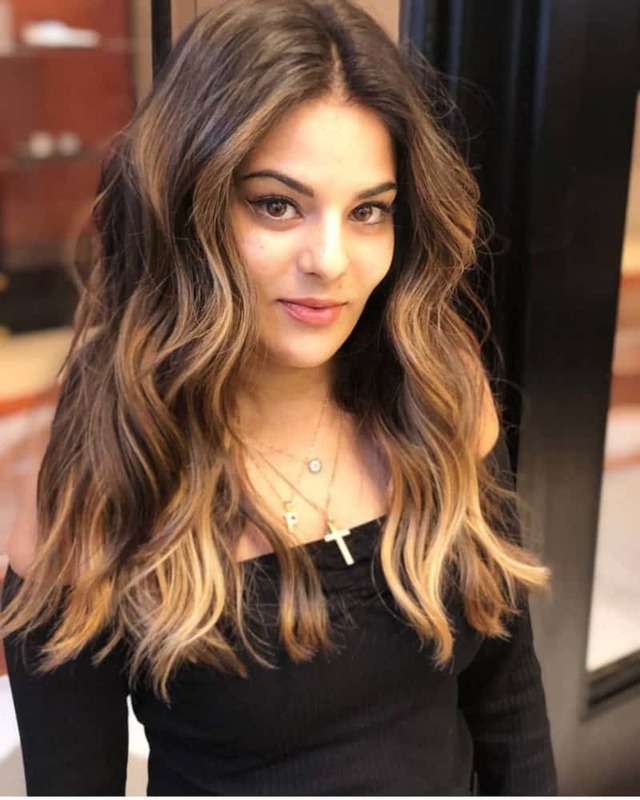 That’s what makes it so interesting when you implement ombre technique on medium length hairstyles 2019. Barrel curls are considered to be the middle ground between ringlets and loose curls. 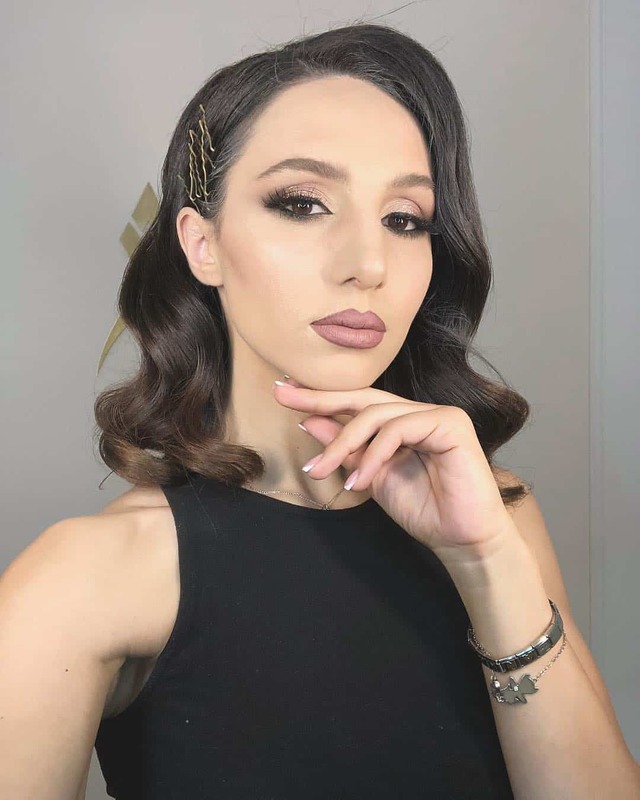 Remember that using a curling iron is going to help you out in many situations with medium length haircuts 2019. You need to make sure the pressure is just enough for the strands to become curls, but not strong enough to make them into S-shaped ringlets. Remember that flat and curly irons are sisters. In this case, flat iron is exactly what you are looking for. 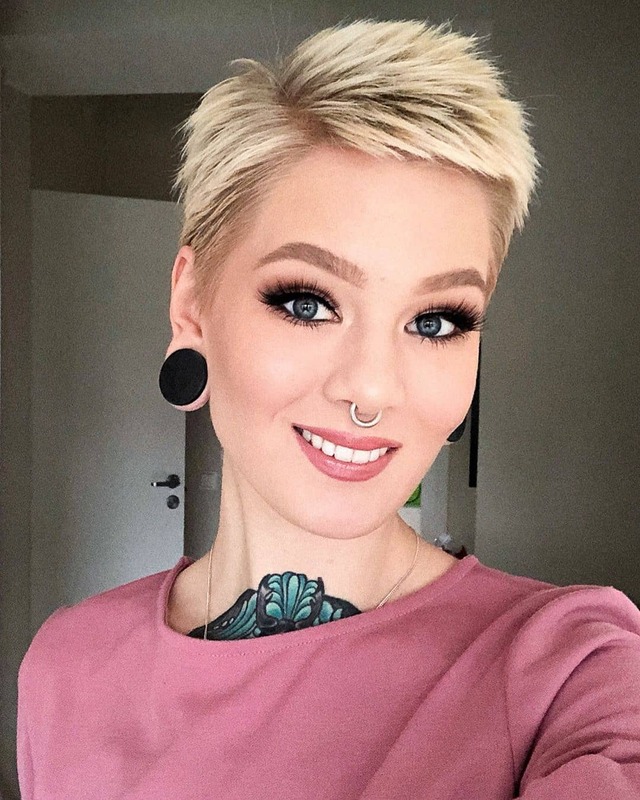 Frankly, this one among medium length hairstyles 2019 is for lazier women. Making medium length hair completely straight with the help of a flat iron is very easy. After that, all you need is a couple of hair pins to assist you in keeping your hair tucked behind ears. The middle parting just highlights the slick look, making your style irresistible, when in fact, you chose this one just because it was easy to execute. Small curls and natural curls already look gorgeous when you treat them with proper hair products and shampoos, as well as hair conditioners. 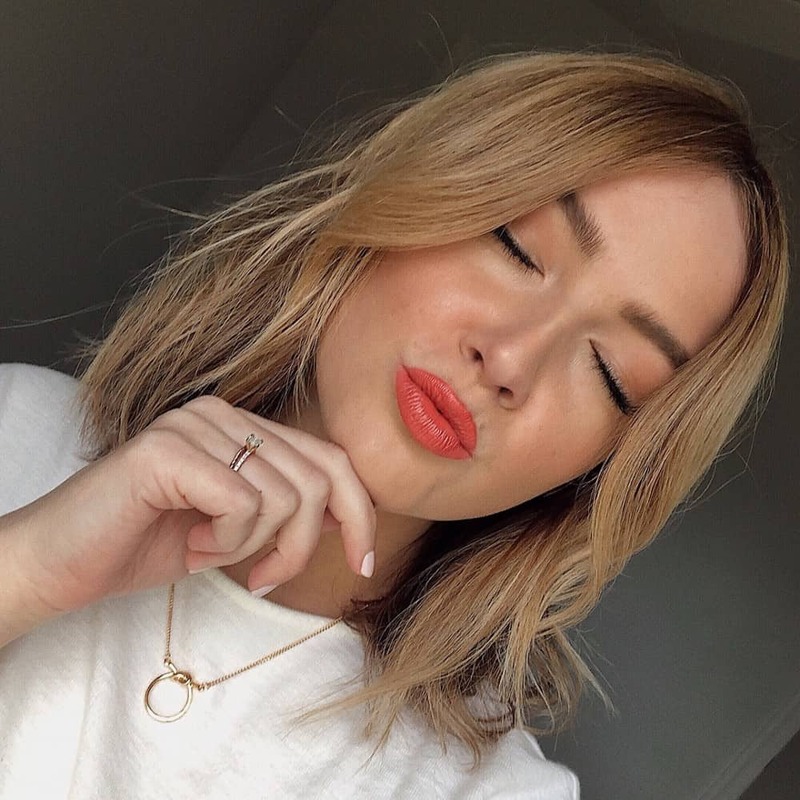 When imagining curly medium length hair trends 2019, we automatically think volume. This is one of the main components of this look. We strongly suggest parting your hair from one side to add more of that stunning volume. 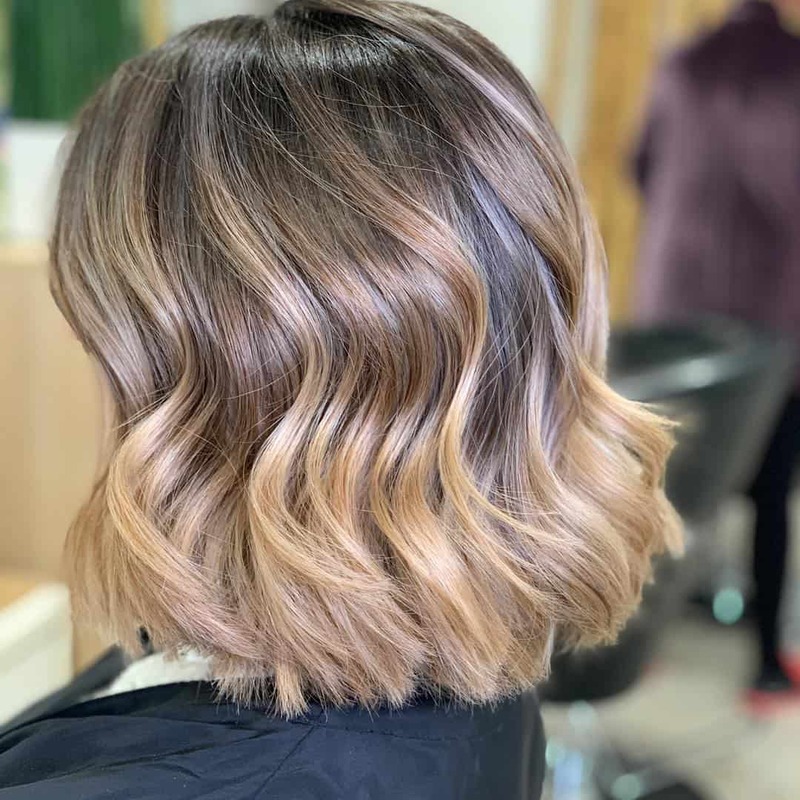 We always say that leaving the roots to grow in their darker tone looks more natural than going to a salon every two weeks to get the roots dyed. 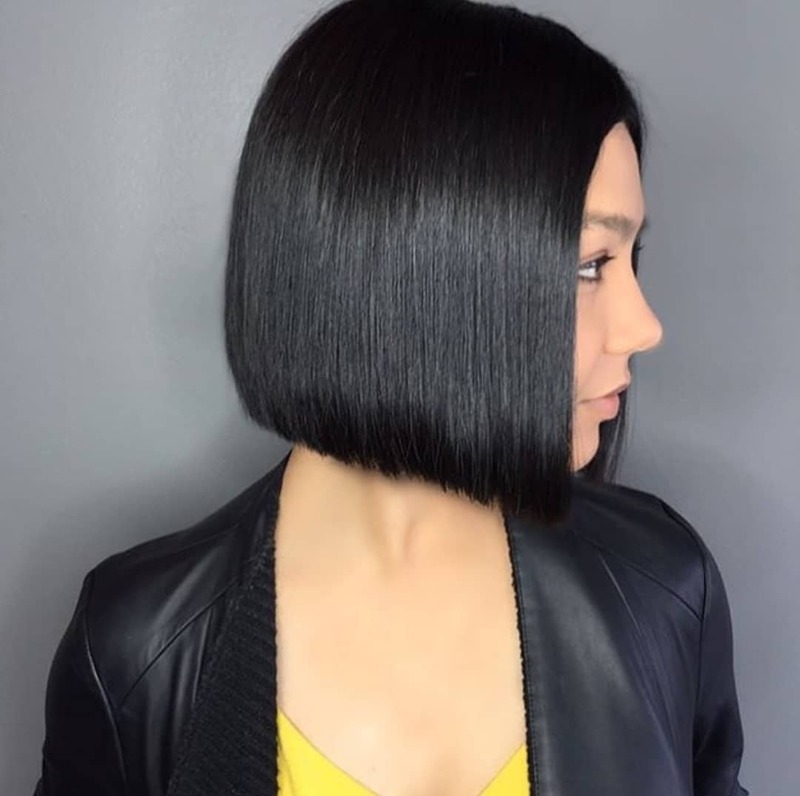 Straight bob is one of the primary medium length hair trends 2019. The exact shape of the haircut gives a weird, yet a stunning vibe when looking at your hair. The haircut seems almost too straight, but that’s the beauty of it. It gives you a variety of options. You can choose to flatten them with an iron. Leaving them in their natural waves is also an option. 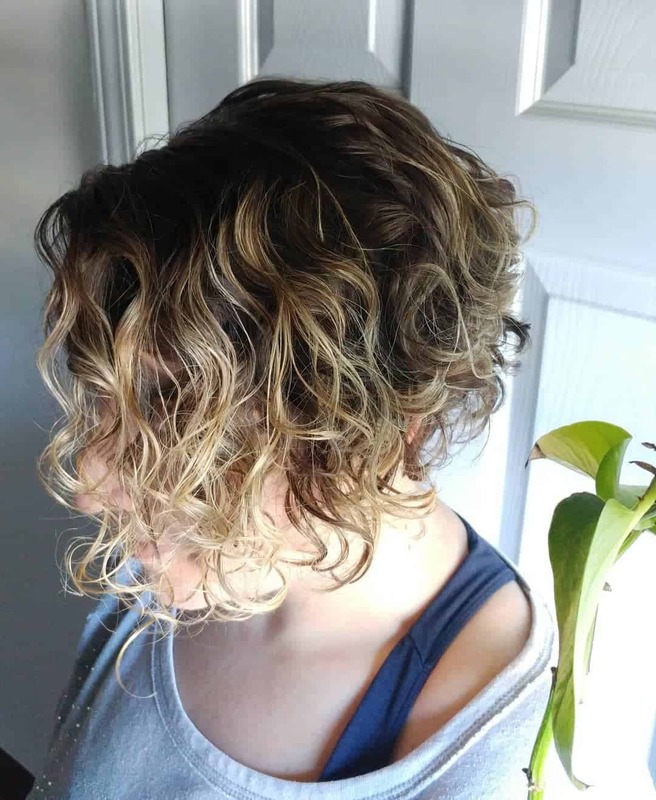 Using a curling iron will transform this haircut into a night out updo. Having medium length hair gives you a number of advantages. Being able to frame your face with light waves is one of those advantages. 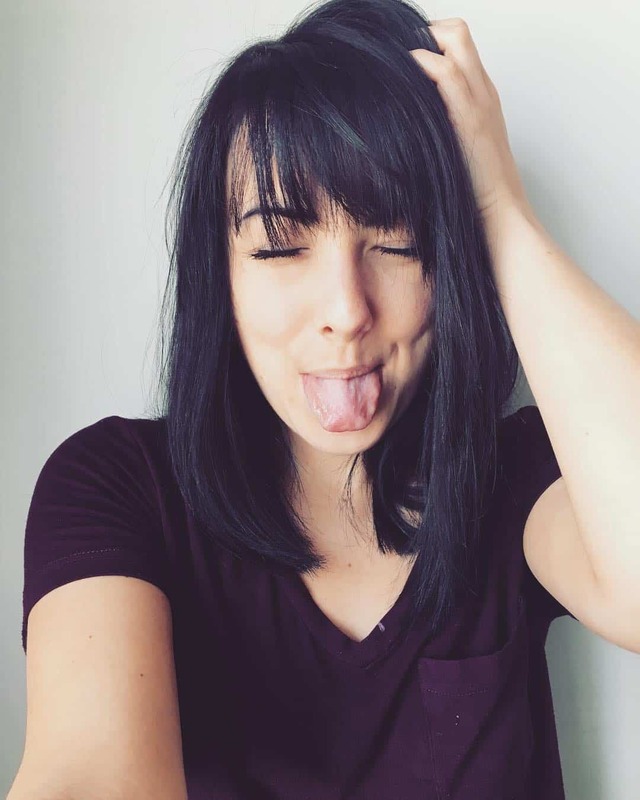 Medium length hairstyles 2019 with bangs do this job perfectly. 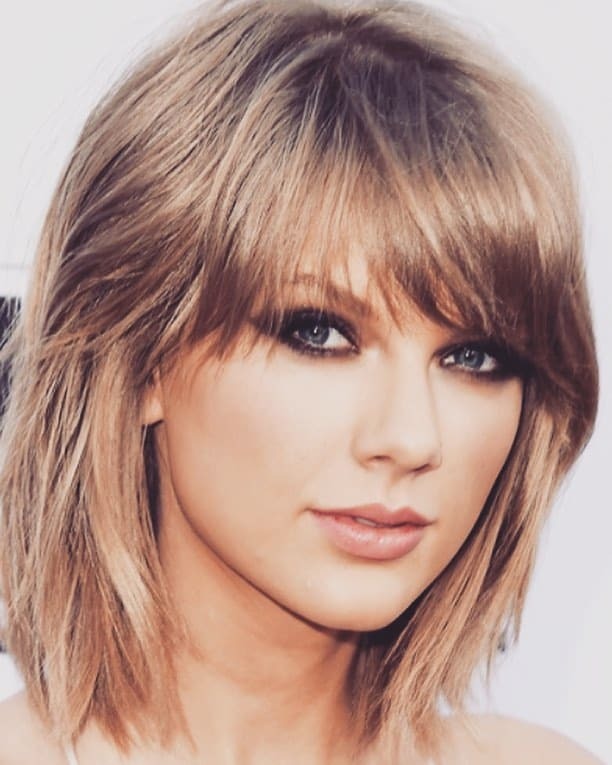 Bangs serve as additional force for highlighting the beautiful features of your face. Sharply cut eye skimming bangs add a touch of trendiness into the whole look. 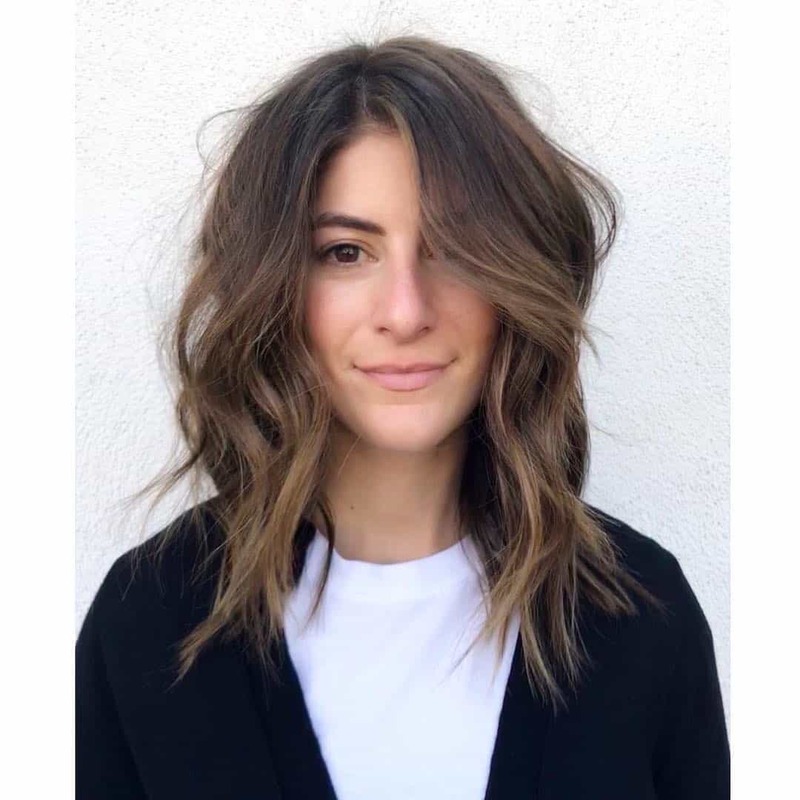 Layered lob will always help your look to say that you just woke up looking like this. By like this we mean stunning. 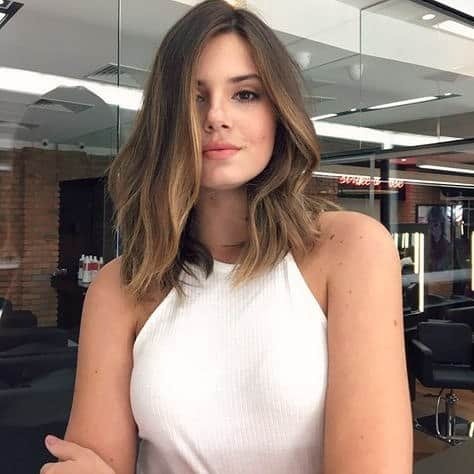 Layered lob medium haircuts 2019 are perfect for a light look. This is an extremely versatile look. You can easily rock a red carpet with this one and just go out for drinks with friends, being sure that all eyes are going to be on your light and careless hair. As you can see, the range of selection is very wide. 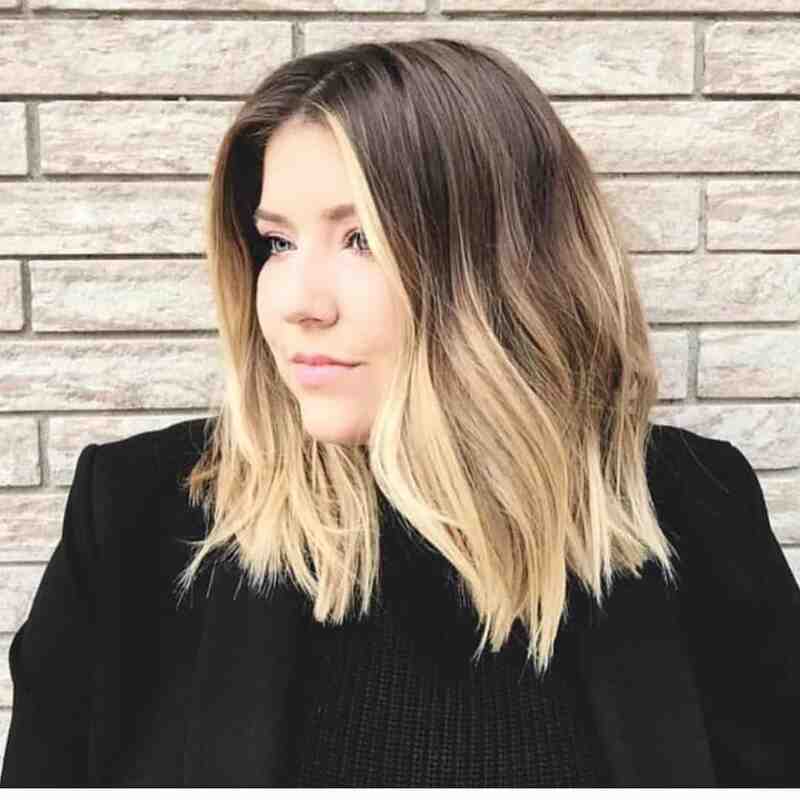 We simply advise you to get medium length hairstyles 2019 because of their practicality and comfort. We hope you found what you were looking for in our article.